This month, we take a look at A Walk Across the Sun by Corban Addison, published by Harper Collins Canada. Rating: Due to the mature themes discussed in this novel, our reviewers believe it is appropriate for adults 18 and older. I read ‘A Walk Across the Sun’ in which the author, Corban Addison, wasted no time capturing my interest and in engaging my feelings. In fact, the book is a riveting page turner. Can you imagine having a loving family, living in a beautiful home, being able to attend school and in the span of a few moments losing everyone you love, your home, and all connections to your friends? Two young teenage girls, Ayalya and Sita, quickly find themselves living in an unimaginable nightmare when a tsunami hits the beach where their home is located. The book takes you along their unwilling journey into the world of the underground human trafficking trade. Along the way, the girls cling to hope and their love for one another. This suspenseful tale takes the reader and its characters across three continents. I think this book is quite remarkable for a number of reasons. The writer uses contrast so well; he writes beautiful descriptions in just the right places to offset the sad events in the story. He keeps you clinging in places and then leads you along. He takes you from one side of the globe to the other side, but doesn’t lose you along the way. He tells a fictional tale which is sadly a reality for some children. He gives his characters enough human qualities and uses effective descriptions of them to make them believable. And he mixes just enough conflict to make you sit up, take notice and want to speak out. His message is clear to me: you can’t entirely conquer the evil that people do, but you can stand up and do something to help the weak, the poor and the captive even if it is one victim at a time. As a member of Girl Guides of Canada, this book really speaks to me about standing up for what is the right thing to do and helping others whenever and wherever you can. If there is one book you read this year, read this one. Injustice, love, faith, hope, friendship, betrayal, fear, reconciliation …this book has it all, and more. A powerful story; a great read! 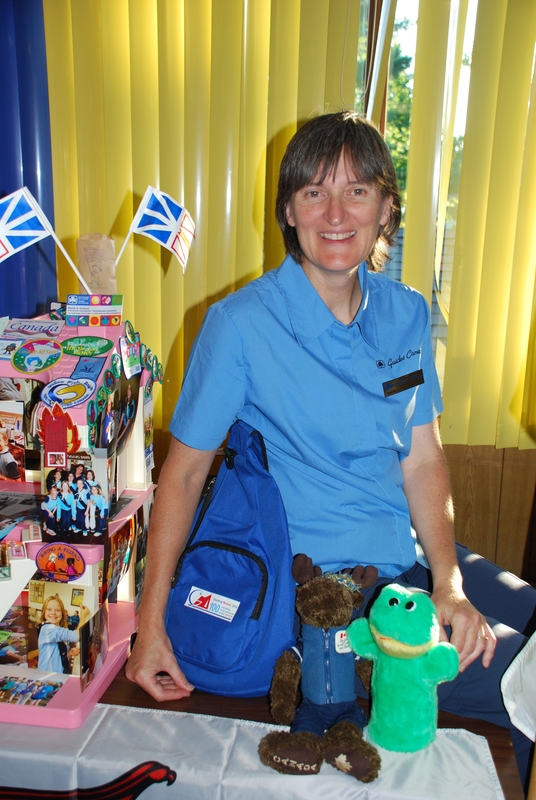 Girl Guide Leader from Windsor, Ontario. This book has two main female characters and is intended for Adults over 18. This book contains several Girl Guide Topics; Healthy Relationships, Travel and International Issues, and Self Esteem. The book is an excellent novel about two sisters who have lost their family in a Tsunami. Tragedy happens when they are taken by criminals and put into a life of slavery and human trafficking. This novel is excellently written and portrays the issues and captivates the audience. The main parts of the novel are in India with smaller portions of the story taking place in Washington and Paris. The bond of the two sisters is extremely strong from the beginning of the story till the end. I found this novel to be a fantastic and easy read. The story catches the reader right from the first page right to the last page. The storyline is a sad one that makes you feel for the sisters, and an eye opener that there are people out there that can do such bad things to others. I enjoyed this novel tremendously and would pick up another novel by this author at any time. Sounds like a good book to read. I will have to pick it up when I am at the library next.